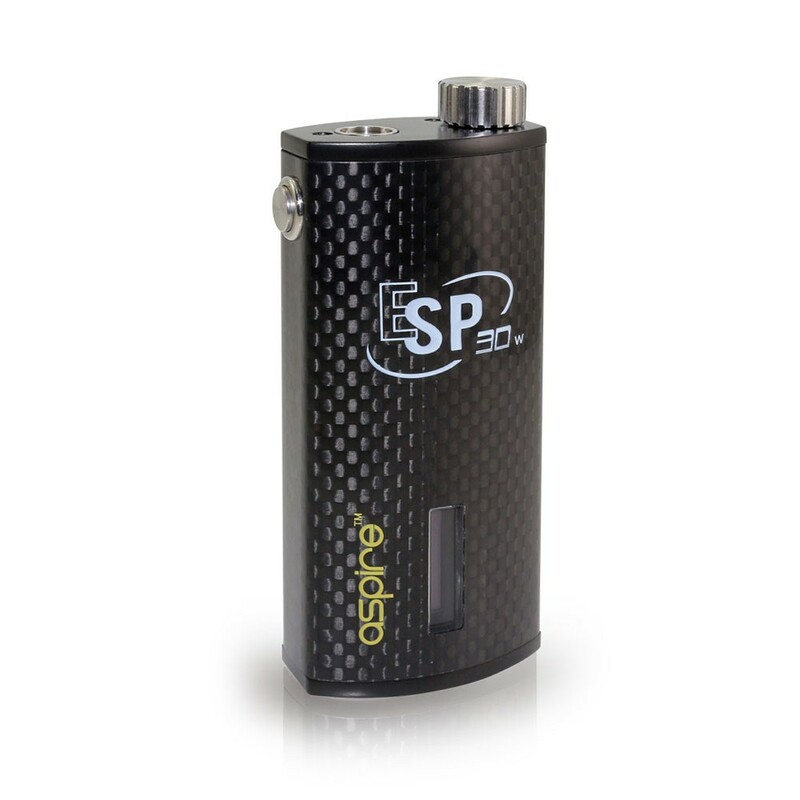 The Aspire ESP features everything you expect from a box mod wrapped in a smooth carbon fiber. The Aspire ESP 30 Watt Box Mod is the newest release from Aspire. 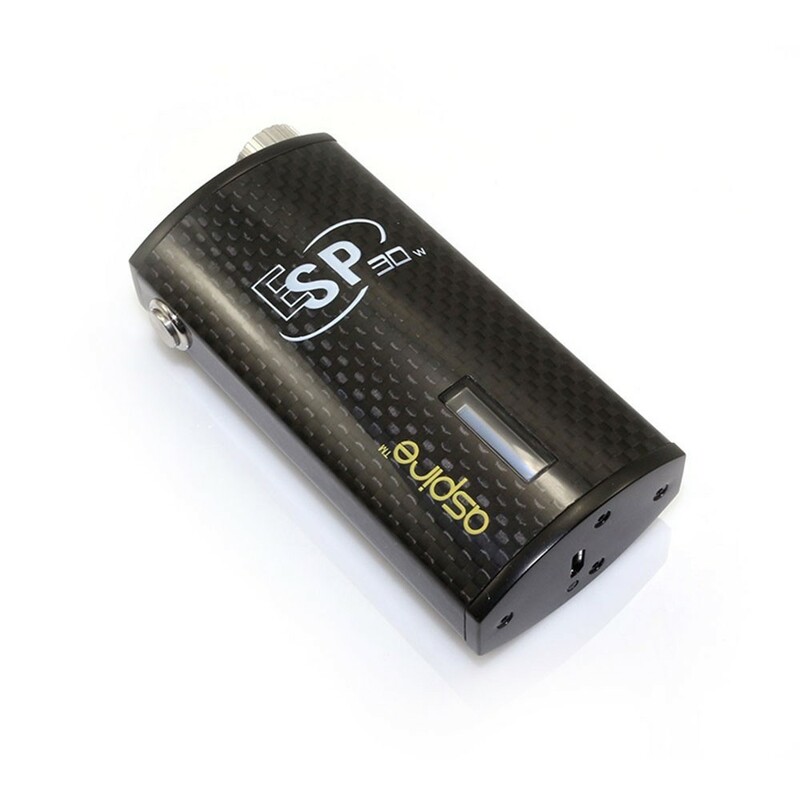 The ESP features everything you expect from a box mod wrapped in a smooth carbon fiber. The Aspire ESP is adjustable from 5Watts to 30Watts allowing you to quickly switch from your Nautilus or Nautilus Mini to the Aspire Atlantis. You can quickly adjust the Wattage by twisting the rotary knob located on the top of the device. By moving the wattage control to the top of the device you no longer have to worry about accidentally adjusting the wattage while holding the ESP. 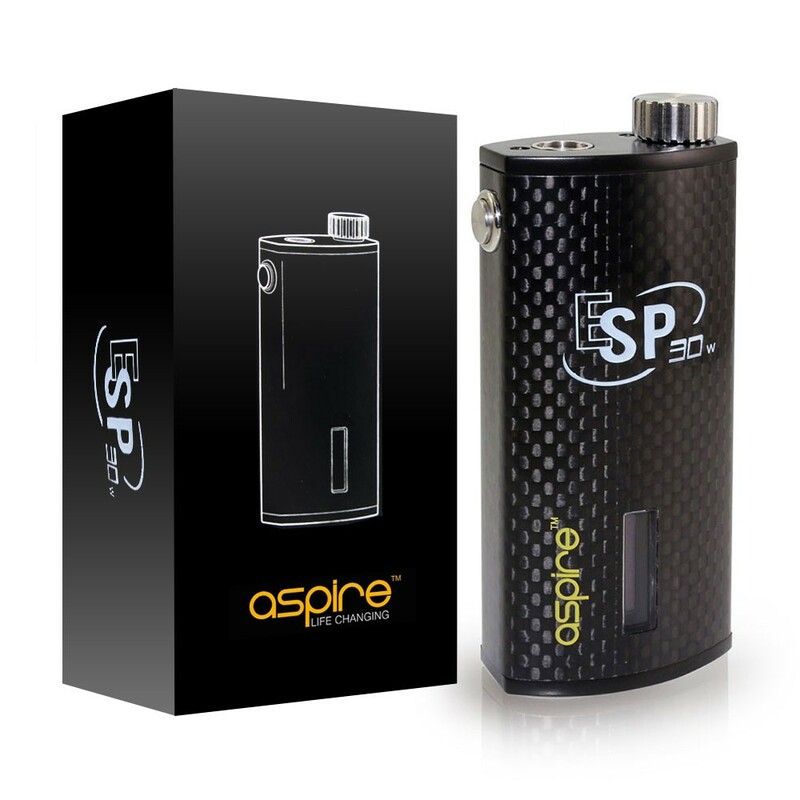 To power on and off the Aspire ESP you simply press the fire button 5 times within two seconds. The screen display is located on the front of the Box Mod. The screen will display the battery power, atomizer resistance, wattage, and voltage of the device. When an atomizer is not detected it will display “Check Atomizer”. when the ESP is low in power it will display “Check Battery”. 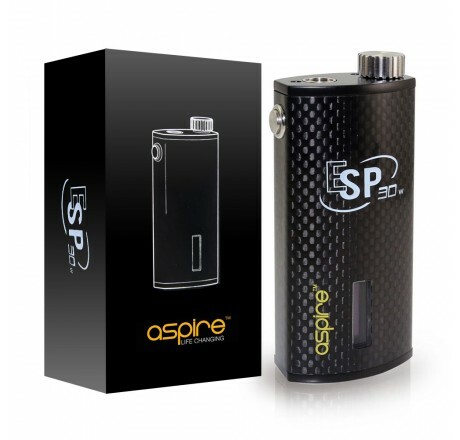 The Aspire ESP is also a pass-through device. It is charged through a micro USB cable located at the bottom of the device. When charging a red light will appear, and once fully charged it will change to a solid green. During the charging you can still use the device. 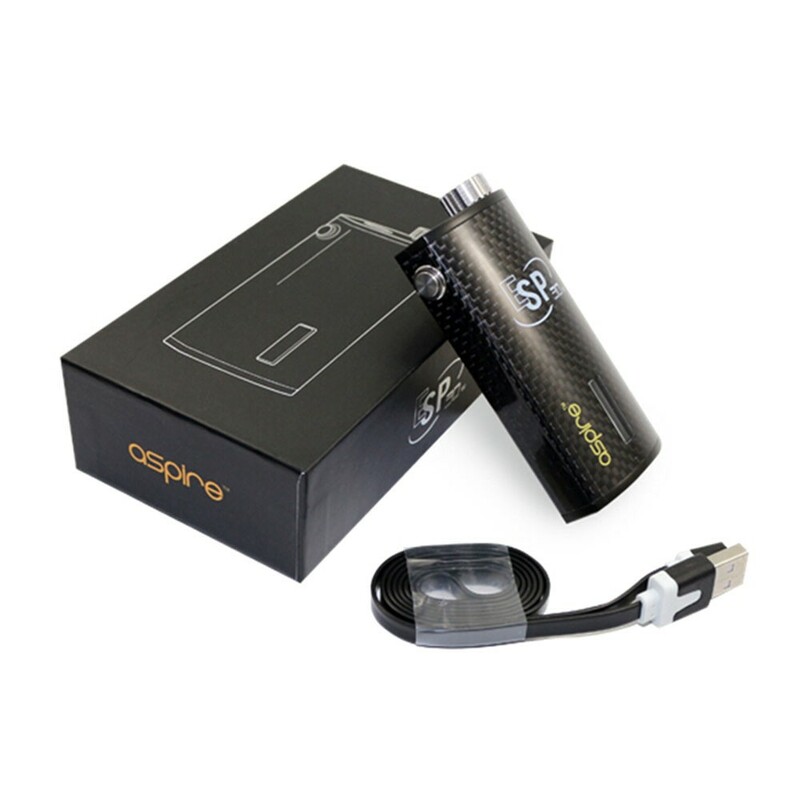 USB Pass-through, "vape while you charge"
The Aspire ESP 30W will include a 30 day Limited Warranty against any manufacturing defects from the date of delivery. Scratches and discoloration from regular use is considered normal wear and tear and is not covered by warranty.